ST. PAUL, Minn. (AP) — Enbridge Energy is delaying the startup of its planned Line 3 replacement crude oil pipeline through northern Minnesota by a year. The Canadian-based company said Friday it now expects the new pipeline to go into service in the second half of 2020. Enbridge officials had hoped to put the pipeline into service in the second half of 2019. But Minnesota Gov. Tim Walz recently said his administration will keep pursuing an appeal of an independent regulatory commission’s approval of Enbridge’s plan. The state Public Utilities approved the project last summer. But the Minnesota Department of Commerce argued that Enbridge failed to provide legally adequate long-range demand forecasts to establish the need for the project. Enbridge wants to replace Line 3 because it’s increasingly prone to cracking and corrosion. Native American and environmental activists argue the project risks spills in pristine areas in northern Minnesota, including where American Indians harvest wild rice considered sacred and central to their culture, and that the Canadian tar sands oil the line would carry will accelerate climate change. Under the permitting timeline that Minnesota presented to Enbridge on Friday, the Calgary, Alberta-based company said certifications on all remaining state permits required for constructing Line 3 will be provided by this November. Enbridge said it expects the remaining federal permits to be finalized about 30 to 60 days after that. “Enbridge has been busy assuring investors the Line 3 pipeline expansion would be in service by November 2019, and it is just now starting to admit that public opposition has made this timeline ridiculous,” she said in a statement. 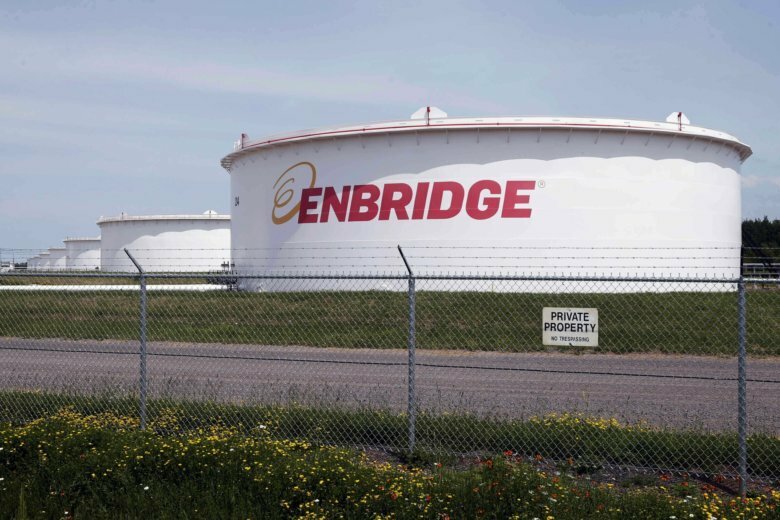 Enbridge says the replacement will ensure reliable deliveries of Canadian crude to Midwest refineries. It’s already in the process of replacing the Canadian segments and is running the short segment in Wisconsin that ends at its terminal in Superior.